Eric grew up in a good, moral family that went to church each Sunday, gave to the building fund, and even took a role in the Christmas play. Through most of his teenage years it seemed like the normal thing to do for any self-respecting person in a church-saturated small town in southern California. That is….until he became a Christian. It was the summer before his freshman year in college before someone told him he couldn’t be good enough to get to heaven and that Jesus came to begin a personal relationship with him. A light clicked on in his mind and heart and he determined to zealously serve God with every waking moment. Now on campus─and having already earned the reputation for being a fun, but busy, “get it done” kind of person─he threw himself into every imaginable spiritual activity. He dropped in on different campus ministry meetings each week, attended multiple Sunday school classes, joined the church choir, and even served on the soup line at the local homeless shelter. He was trying to fill his schedule with a whirlwind of religious activities, somehow thinking this was what God expected of him. He didn’t let people get too close to him but, deep down knew his Christian walk was a mile wide and only an inch thick. Of course, any ministry or church leader, with even an ounce of vision, dreams and prays for students like Eric to come and ask for spiritual help. In fact, there are hundreds of thousands of church and para-church staff, student leaders, and volunteers around the world, anxious to pour themselves into students who want to grow and make a difference for Jesus Christ. And like Eric, they realize the college years are the very best time in life to build the essential knowledge, skills, character, and vision to effectively prepare for another 40-50-60 years of walking with God and leaving a legacy of changed lives. College─Webster’s definition: an independent institution of higher learning offering a course of general studies leading to a bachelor’s degree. College─My definition: A four (or more!) year window in a person’s life when God has maximum opportunity to build a foundation into a life lived for Him. If a deep and solid foundation can be built during the college years, there is a much better chance that, later in life, you will withstand the pressures of the world, continue to walk with the Lord, and impact others. 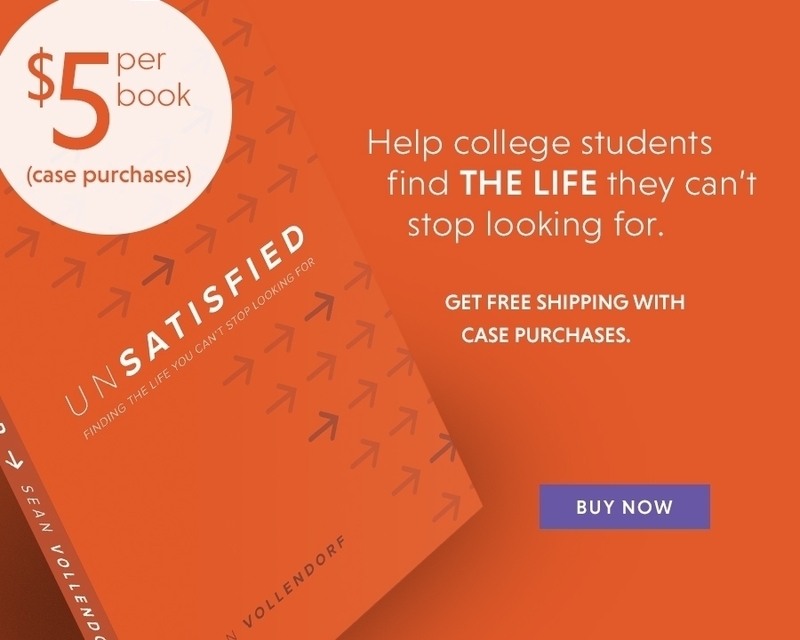 Let’s look at two foundations that any Christian college student needs. First, we focus on building a personal and spiritual foundation for your own life and ministry. Then we take a look at some of our predecessors in order to learn the life changing lessons of students who have gone before us to touch the world for Christ.